Central America has received renewed attention from U.S. policymakers over the past few years as the region has become a major transit corridor for illicit drugs and has surpassed Mexico as the largest source of irregular migration to the United States. These narcotics and migrant flows are the latest symptoms of deep-rooted challenges in several countries in the region, including widespread insecurity, fragile political and judicial systems, and high levels of poverty and unemployment. The U.S. government and partners in the region have begun to implement new initiatives intended to address those challenges, but living conditions in Central America have yet to improve significantly. The Obama Administration determined it was in the national security interests of the United States to work with Central American governments to address their challenges. 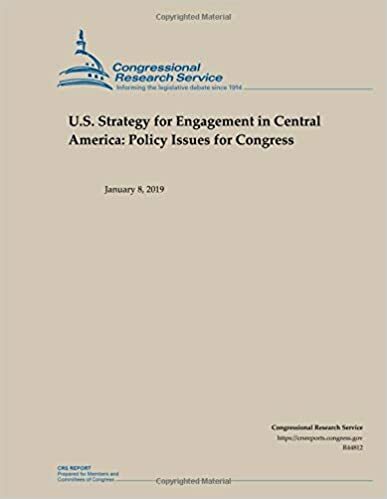 With congressional support, it launched a new U.S. Strategy for Engagement in Central America and significantly increased aid to the region. The strategy takes a broader, more comprehensive approach than previous U.S. initiatives in Central America and is based on the premise that efforts to promote prosperity, improve security, and strengthen governance are mutually reinforcing and of equal importance. The strategy focuses primarily on the “Northern Triangle” countries of Central America (El Salvador, Guatemala, and Honduras), which face the greatest challenges and are carrying out complementary efforts under their Alliance for Prosperity initiative. It also provides an overarching framework for U.S. engagement with the other countries in the region: Belize, Costa Rica, Nicaragua, and Panama. The Trump Administration has maintained the U.S. Strategy for Engagement in Central America but has adjusted the initiative to place more emphasis on preventing illegal immigration, combating transnational crime, and generating export and investment opportunities for U.S. businesses. The Administration also has sought to scale back U.S. assistance to Central America, but Congress has rejected the majority of the proposed reductions.